Anything that doesn’t fit into another category can be found here. They also have unique antioxidants and powerful brain nutrients that many people are deficient in. Here are six reasons why eggs are among the healthiest foods on the planet. One whole egg contains an amazing range of nutrients. Just imagine… the nutrients in there are enough to turn a single fertilized cell into an entire baby chicken. Vitamin B12 (Cobalamin): 9% of the RDA. Vitamin B5 (Pantothenic Acid): 7% of the RDA. Eggs also contain small amounts of almost every vitamin and mineral required by the human body… including calcium, iron, potassium, zinc, manganese, Vitamin E, Folate and many more. A large egg contains 77 calories, with 6 grams of quality protein, 5 grams of fat and trace amounts of carbohydrates. It’s very important to realize that almost all the nutrients are contained in the yolk, the white contains only protein. Bottom Line: Whole eggs are incredibly nutritious, containing a very large amount of nutrients compared to the calorie load. The nutrients are found in the yolks, while the whites are mostly protein. The main reason people have been warned about eggs is that they’re loaded with cholesterol. One large egg contains 212 mg of cholesterol, which is a LOT compared to most other foods. However, just because a food contains cholesterol doesn’t mean that it will raise the bad cholesterol in the blood. The liver actually produces cholesterol, every single day. If you eat cholesterol, then your liver produces less. If you don’t eat cholesterol, then your liver produces more of it. The thing is, many studies show that eggs actually improve your cholesterol profile. Eggs tend to raise HDL (the “good”) cholesterol and they tend to change the LDL (the “bad”) cholesterol to a large subtype which is not associated with an increased risk of heart disease (2, 3, 4). One study discovered that 3 whole eggs per day reduced insulin resistance, raised HDL and increased the size of LDL particles in men and women with metabolic syndrome (5). Multiple studies have examined the effects of egg consumption on the risk of cardiovascular disease and found no association between the two (6, 7, 8, 9). However, some studies do show an increased risk of cardiovascular disease indiabetic patients. This needs further research though and probably doesn’t apply on a low-carb diet, which can in many cases reverse type II diabetes (10, 11, 12). Bottom Line: Studies show that eggs actually improve the cholesterol profile. They raise HDL (the good) cholesterol and increase the size of LDL particles, which should lower the risk of heart disease. Choline is a lesser-known nutrient that is often grouped with the B-complex vitamins. Choline is an essential nutrient for human health and is needed for various processes in the body. It is required to synthesize the neurotransmitter acetylcholine and is also a component of cell membranes. A low choline intake has been implicated in liver diseases, cardiovascular disease and neurological disorders (13). This nutrient may be especially important for pregnant women. Studies show that a low choline intake can raise the risk of neural tube defects and lead to decreased cognitive function in the offspring (14). In a dietary survey in the U.S. from 2003-2004, over 90% of people ate less than the daily recommended amount of choline (15)! Bottom Line: Choline is an essential nutrient that 90% of people in the U.S. aren’t getting enough of. Egg yolks are an excellent source of choline. Proteins are the main building blocks of the body and serve both structural and functional purposes. They consist of amino acids that are linked together, kind of like beads on a string, then folded into complex shapes. There are about 21 amino acids that the body uses to build its proteins. The body can not produce 9 of these amino acids, which are deemed as “essential” and must be gotten from the diet. The quality of a protein source is determined by its relative amounts of these essential amino acids. A protein source that contains all of them in the right ratios is a good source of protein. Eggs are among the best sources of protein in the diet. In fact, the biological value (a measure of protein quality) is often evaluated by comparing it to eggs, which are given the perfect score of 100. Bottom Line: Eggs are an excellent source of protein, with all the essential amino acids in the right ratios. There are two antioxidants in eggs that can have powerful protective effects on the eyes. They are called Lutein and Zeaxanthin, both found in the yolk. Lutein and Zeaxanthin tend to accumulate in the retina, the sensory part of the eye. These antioxidants significantly reduce the risk of Macular Degeneration and Cataracts, which are among the leading causes of vision impairment and blindness in the elderly (16, 17, 18). In one study, eating 1.3 egg yolks per day for 4.5 weeks increased blood levels of Zeaxanthin by 114-142% and Lutein by 28-50% (19). Bottom Line: Eggs are very high in the antioxidants Lutein and Zeaxanthin, which can drastically reduce the risk of Macular Degeneration and Cataracts. Eggs contain only trace amounts of carbohydrates, but plenty of protein and fat. They score very high on a scale called the Satiety Index, which is a measure of how much foods contribute to satiety (20). For this reason, it is not surprising to see studies where eating eggs for breakfast leads to fat loss. In one study, 30 overweight or obese women consumed either a breakfast of eggs or a breakfast of bagels. Both breakfasts had the same amount of calories. Had a 34% greater reduction in waist circumference (a good marker for the dangerous abdominal fat). It’s important to keep in mind that not all eggs are created equal. Hens are often raised in factories, caged and fed grain-based feed that alters the final nutrient composition of the eggs. It is best to buy Omega-3 enriched or pastured eggs, they are more nutritious and healthier. However, conventional supermarket eggs are still a good choice if you can’t afford or don’t have access the others. To top things off, eggs are cheap, taste awesome and go with almost any food. Eggs really are an egg-ceptional superfood. Eggs and Cholesterol – How Many Eggs Can You Safely Eat? This post originally appeared at Authority Nutrition. Copyright 2014. Follow Authority Nutrition on Twitter. Inspired from the French Mediterranean area, this delicious desert is a very quick and easy to make while leaving the impression that you are a gourmet chef. It is possible to use any dried fruits or nuts available. Personally, I like to use dried cranberries and blueberries with a touch of honey inside. The creative possibilities are endless. 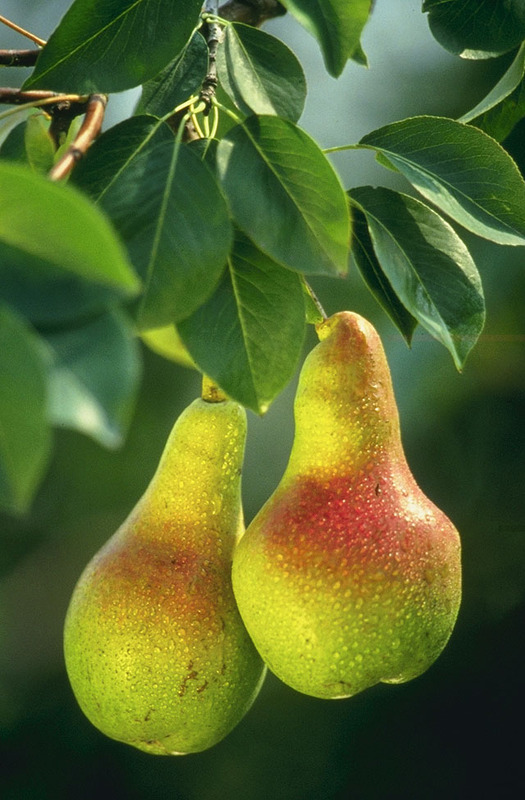 As always, try it once and then make your own substitutions to create your own perfect pear. Make the Almond cream by beating together the softened butter, confectioner’s sugar, ground almonds, flour and egg; add a couple drops of almond extract and mix well. Bananas contain three natural sugars – sucrose, fructose and glucose combined with fiber. A banana gives an instant, sustained and substantial boost of energy.Research has proven that just two bananas provide enough energy for a strenuous 90-minute workout. No wonder the banana is the number one fruit with the world’s leading athletes.But energy isn’t the only way a banana can help us keep fit. It can also help overcome or prevent a substantial number of illnesses and conditions, making it a must to add to our daily diet. PMS:Forget the pills – eat a banana. The vitamin B6 it contains regulates blood glucose levels, which can affect your mood. Welcome to my kitchen. This is the place where I prepare delicious meals for family and friends. For a long time I have been asked to open my personal cookbook and share recipes. Today, I have decided to share some of the more popular ones with you. By doing this, it’s my goal to help everyone kick the box and cans for delicious and healthy homemade foods, which taste better and help to reenergize the body thus loosing weight without effort, provide dishes which will impress your family and friends and excite you about cooking.